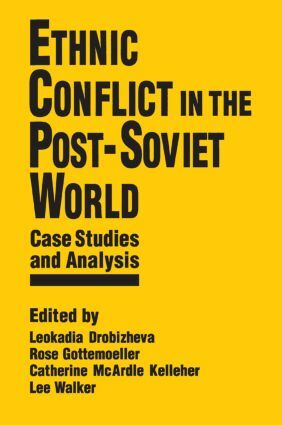 Presents 16 case studies of ethnic conflict in the post-Soviet world. The book places ethnic conflict in the context of imperial collapse, democratization and state building. Written in an accessible, journalistic style, Jihad in Paradise focuses on Southeast Asia's struggle to deal with Islamic extremists and terrorism at the hands of Jemah Islamiyah, al Qaeda's Southeast Asian arm. Although the book gives particular attention to Singapore's attempts to deal with these issues, the story extends into Malaysia, Indonesia, and the Philippines. All of these countries have significant Muslim populations, and recent violent events have affected the business environment, tourism, and the region's tradition of religious tolerance. The author draws on personal interviews with experts in the field as well as key political and religious figures in Singapore, Malaysia, and Indonesia, including Prime Minister Lee Kuan Yew, Minister for Muslim Affairs Jaacoub Ibrahim, and expelled Muslim dissident Zulfikar Mohamad Sharif. Millard examines the Bali bombing, Malaysia's conservative Islamic party PAS, the Malaysian province of Kelantan which is a Muslim political hotbed, Abu Saayaf of the Philippines, and Fateha.com and the use of the internet. He also provides a glimpse of how Singapore, the region's most developed nation, has been able to impose a degree of racial and religious tolerance.